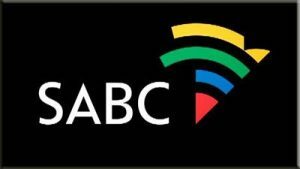 THE PORTFOLIO Committee on Communications has noted with shock media reports about sexual harassment at the South African Broadcasting Corporation (SABC), which apparently came to light in the commission of inquiry’s report. Sexual allegations leveled against some senior members at the public broadcaster. The commission was established by the SABC board in May this year to investigate allegations of sexual harassment emanating from within the public broadcaster, following tip-offs from whistle-blowers. Although applauding the board for establishing the commission, the committee is disappointed that such serious sexual harassment occurred, with no consequences for the perpetrators. “We call on the board to implement in full all of the commission of inquiry’s recommendations and to institute consequence management for the perpetrators. The board and management of the SABC should also ensure that whistle-blowers’ identities are kept strictly confidential for their protection,” said Prof Hlengiwe Mkhize, the Chairperson of the committee. The committee will invite the SABC board for a full briefing on the report and the policy measures that have been put in place to guarantee that harassment of this nature does not recur.